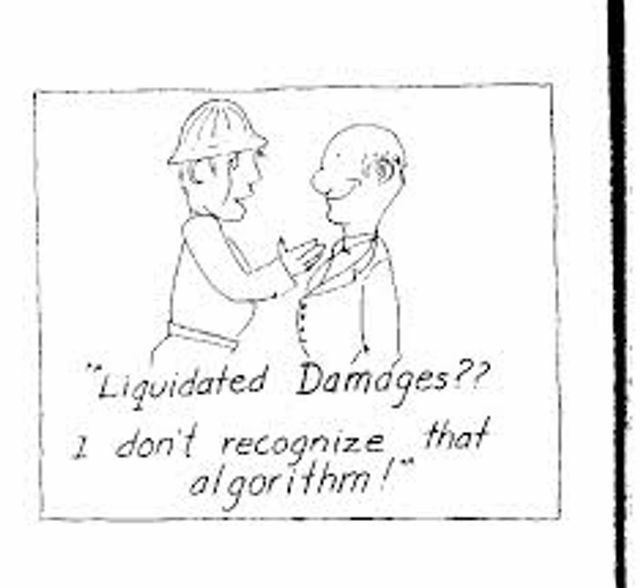 Liquidated damages (LDs) are commonly found in construction contracts, often in relation to delay in completing the project. Generally, if the contractor fails to complete the works by the completion date specified in the contract, the employer is entitled to LDs at a fixed rate until the contractor completes the work. In 2010 there was a little bit of excitement when the case of Selby Hall and Phillip Shivers v Jan Van Der Heiden was decided. That case concerned a contract between an employer and its building contractor for the refurbishment of a residential property in London. The contract included provisions which allowed for the payment of LDs to the employer in the event of any delay by the contractor. The contract was terminated by the employer as a result of the contractor's breach. The court held that LDs for delay did not stop accruing when the contract was terminated but would instead continue to accrue and be awarded up to the date when a replacement contractor completed the works. The rationale for this was to prevent a contractor from effectively being rewarded for its own breach which might be the case if the payment of LDs ceased on termination of the contract. Following this decision many commentators were quick to point out that this was not a view shared by some of the other literature, which considered the true position to be that, save for any special clause in the contract which has the effect of keeping the provision for the payment of LDs alive after termination, liquidated damages will only be recoverable up to the date of any contract termination with general damages applying after termination. The rationale for this included that, after termination, the contractor is no longer required to perform its primary obligations under the contract (in this case to complete the works by a certain completion date) so the provisions relating to LDs do not bite. This is not to say that the contractor gets away scot-free – the general damages that the employer is entitled to claim for may include damages for loss resulting from any further delay caused by the need for the employer to appoint a replacement contractor. To me, this seems like the better view, and in practice this is the one that has been most frequently been adopted (supported by the case of Shaw v MFP Foundations and Pilings Ltd, which followed the House of Lords decision in British Glanzstoff). However, the recent case of GPP Big Field LLP v Solar EPC Solutions (2018) has now muddied the waters again. In this case the court very briefly considered whether the contractor in that case was liable for LDs for delay in respect of the period following the termination of one of its contracts with its employer. The judge relied on the judgement in Selby Hall v Van Der Heiden, holding that LDs would continue until the actual date of commissioning of the plant, despite the fact that the contract had been terminated prior to this point. At a time when some clarity on this issue could have been given, we are now left with more uncertainty and a conflicting first instance decision - we can only hope that the issue will be cleared up in the future. In the meantime, it is worth having a think at the outset whether or not LDs are intended to apply following the termination of a contract and expressly providing for that in the contract.